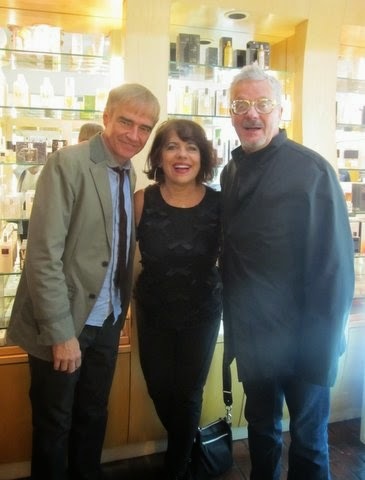 The other day I ventured out to Fred Segal on Melrose for the unveiling of Mark Mothersbaugh's eyewear collaboration with Shane Baum (founder of Baumvision). Mark, an award winning composer, is best known as the frontman for the innovative new-wave band Devo. 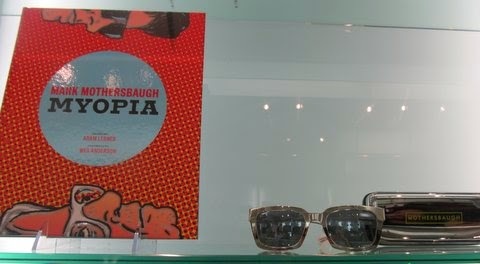 Mark has also gained fame for his unique art installations, so it’s no surprise that his new branded imprint Mothersbaugh features artistic interpretations of unexpected designs that will appeal to creative consumers. The debut collection includes three styles made in Beryllium metal that are available in sunglass and prescription lens options. In case you’re wondering, Beryllium is a very light weight metal that is six times stronger than steel and resistant to tarnish and corrosion. Akronite: A rectangular style named after Mark’s birthplace, which Mark wore to the event. 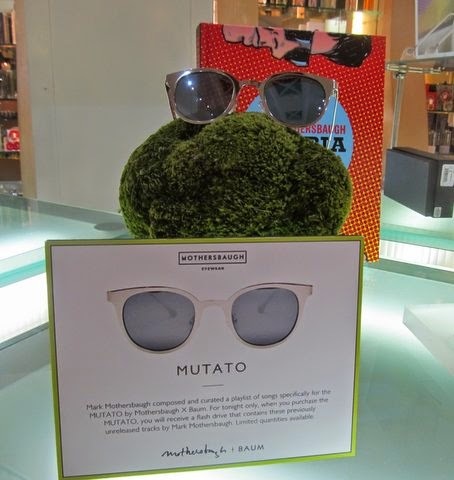 Mutato: A scholary looking framed name after Mark’s production company. Francesca: An oversized unisex frame named after Mark’s dog. Honestly, all three styles looked good on everyone. 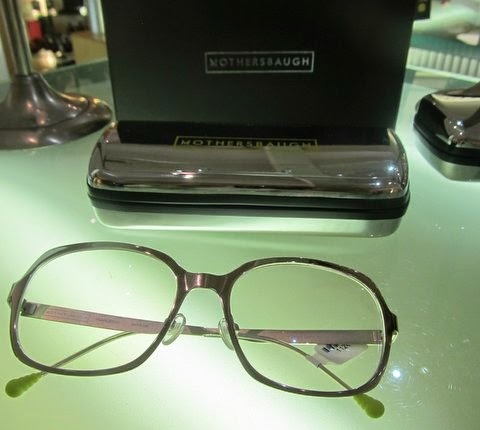 The high-quality glasses feature a silver reflective mirror coating, are scratch resistant, 99.9% distortion free, offer 100% UVA/UVB protection, and also include Mark’s artwork on the microfiber cloths. As an added bonus, the first 30 guests to purchase a pair during the launch also received a flash drive containing previously unreleased, original material composed by Mark. Attendees also had the opportunity to snap a picture with their new frames in a photobooth provided by Smilebooth, sip specialty cocktails courtesy of Svedka vodka and Black Velvet whisky, and enjoy tasty bites from Mauro’s Café (located inside Fred Segal). 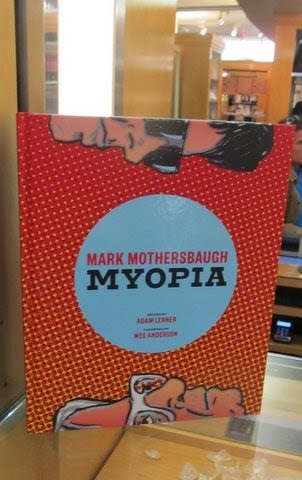 Fans also had the opportunity to purchase Mark’s new coffee table book, Myopia, which features a lifetime of his creative inventions from the beginning of his artistic career in the 1970s to his most recent work to date.